I highly doubt anyone is even here with me right now because I haven't posted in about 2 months and even before that I only posted about once a month because honestly I have felt so unmotivated to update my blog or do anything on social media really. Social Media has been kinda negative for me recently but thats a whole other post for a different day. Today I want to focus on my lifestyle change and how I went Keto. 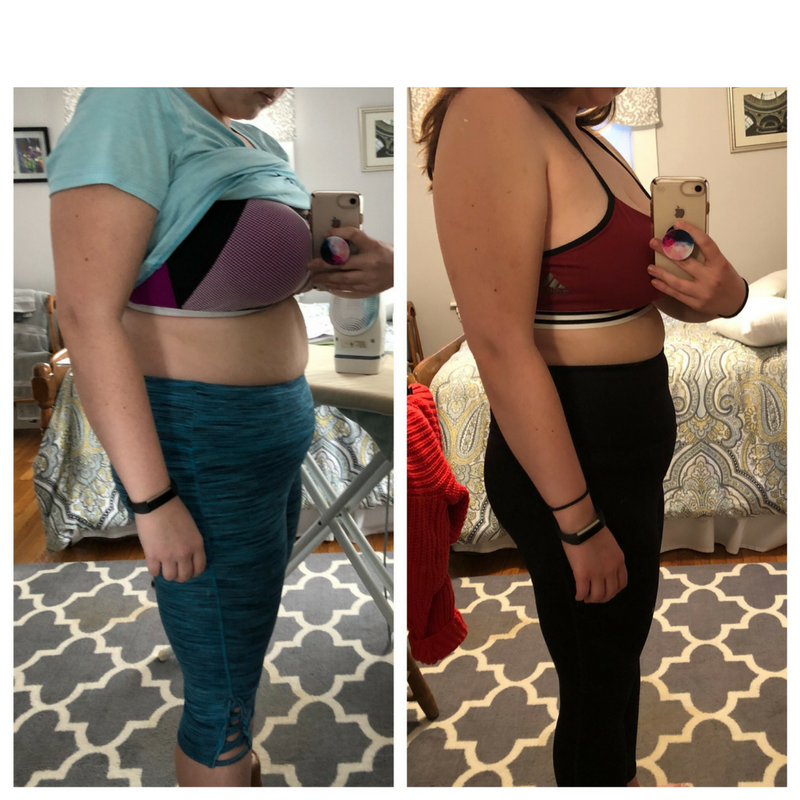 Before I started Keto I was in the middle of a quarter-life crisis (still very much am but ya know, once again, a post for another day) and was very unhappy. I used food (mostly carbs) as a crutch and would turn to food when I was unhappy (which was a lot of the time). Finding out about the keto diet came at the perfect time for me and was the exact lifestyle change I needed because the bulk of my food came from refined sugar and unhealthy carbs. The first few days of Keto were so so so hard for me. I went through major sugar withdrawal, I had horrible headaches and I was constantly starving even though I was eating roughly 1400 calories. It was so hard not to cheat during those days but what helped my push through is the fact that my mom is doing this diet with me and I'm in a few Facebook groups that are so motivational and positive. Having someone with you on a lifestyle journey and having access to good resources definitely makes the difference and keeps me accountable. After about a week of headaches and cravings I finally started to feel really good with my diet. I have amazing energy, my appetite is down and I no longer feel the need to emotional eat or boredom eat, and I'm not even craving carbs that much (except potatoes. I miss French fries so bad 😭). This diet has also helped a lot with my anxiety and keeping my head clear and focused. I'm not gonna lie I was expecting more physical results than where I am currently. I've lost about 10 pounds and 8.5 cumulative inches off my body with very little exercise. I'm possibly being too hard on myself but I have only lost 1 inch off my hips which is the area of my body I am the most self conscious about. Now, despite my self-consciousness I'm going to post my very unflattering progress photos. A lot of people seem to think that the keto diet is a lot of meat and cheese but the most important part of the diet is eating a lot of leafy greens and your fats should come from healthy fats like avocados and coconut oil. Here are a few dinners/lunches I have been eating regularly and I also have a couple what I eat in a day videos on my Youtube channel. This about wraps up my first keto post on my blog! 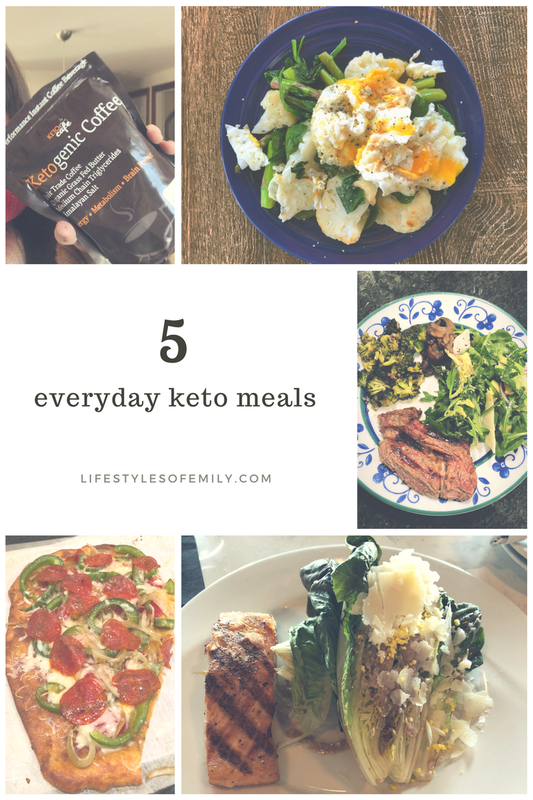 I hope you enjoyed learning about my keto journey because I would like to keep discussing it on my blog and maybe add some more fitness posts as I rev up my workouts.